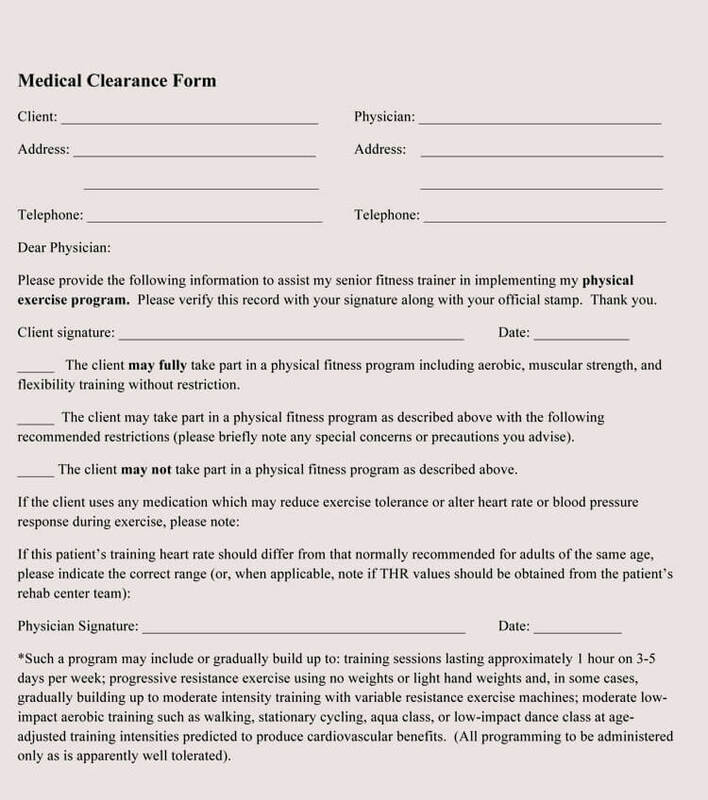 Definition: A medical clearance form is a special type of form that is used for specific reasons. 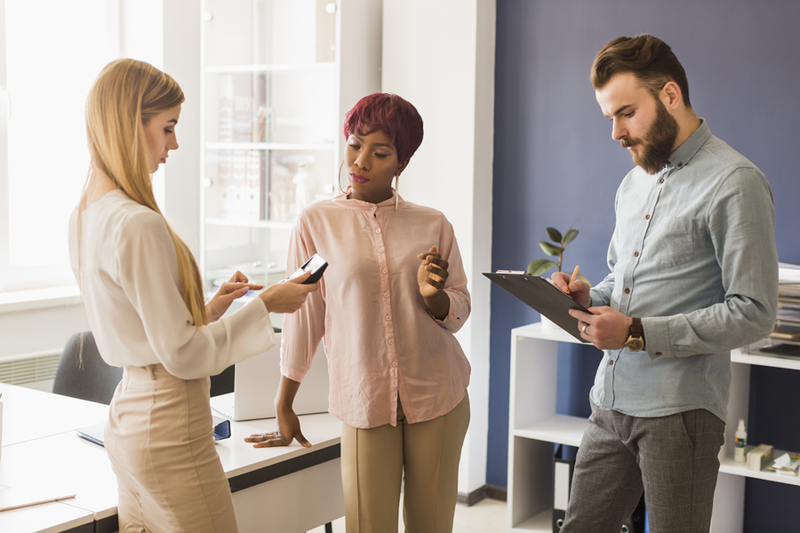 Some of these reasons could be when you want to take part in some activities. 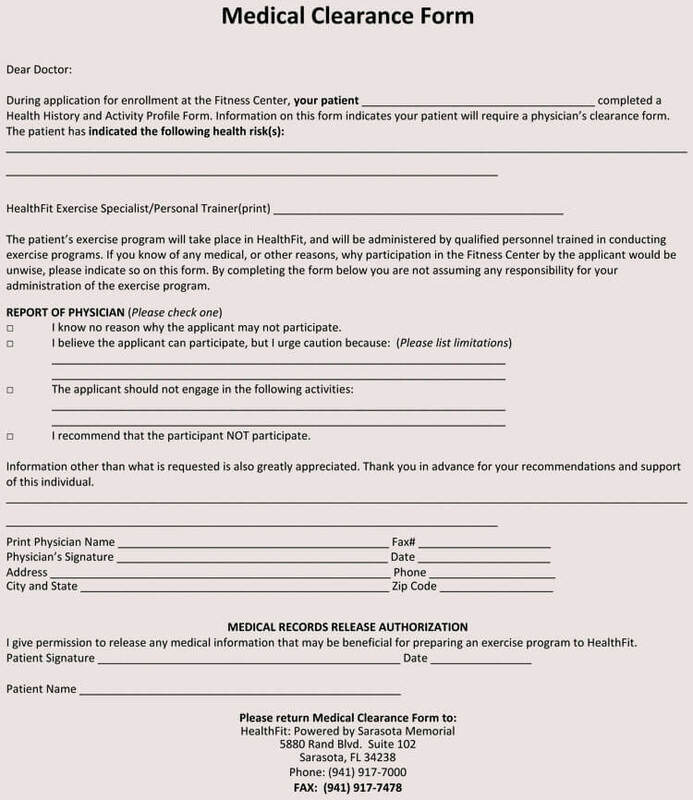 Your doctor will be required to fill the form, stating if you are medically fit or not. This is because he is the only person who has your medical history. 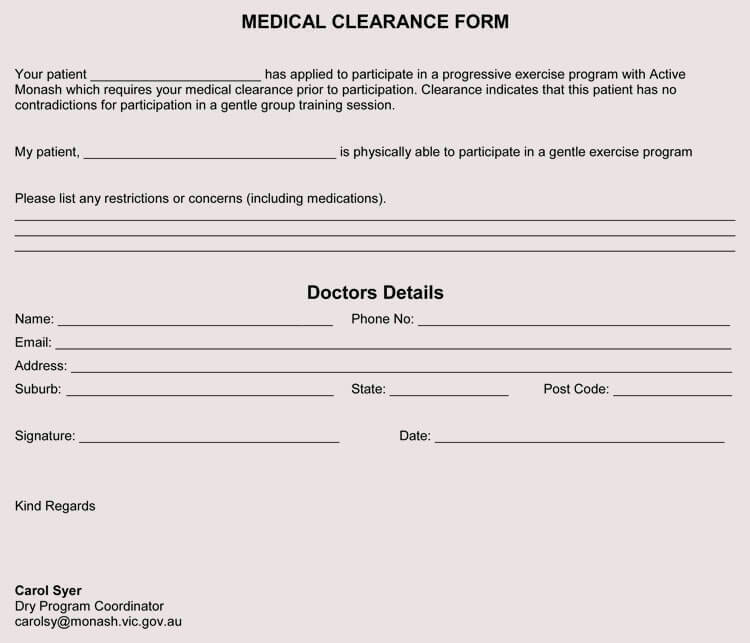 Generally, a medical clearance form is very important. Your doctor should provide it whenever needed. 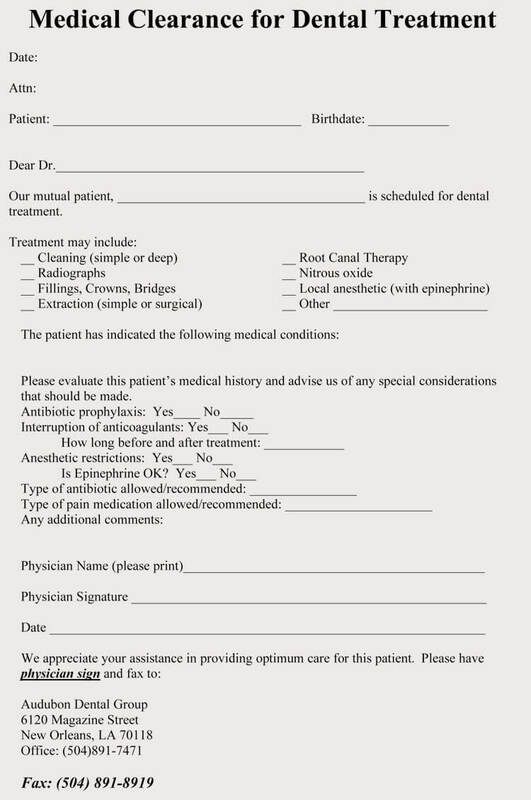 This form is required in order to go on with dental treatment, from a medical physician. 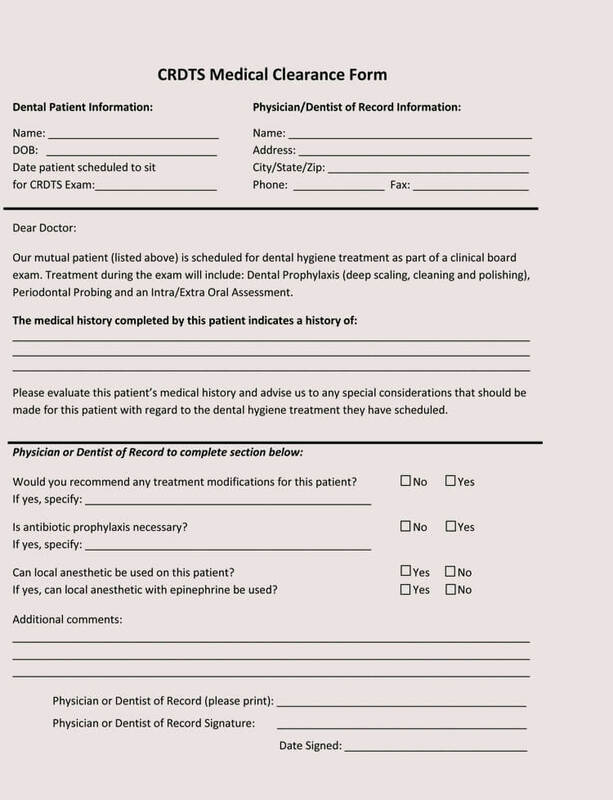 When asking for a medical clearance form, your physician recommends the dentist to state and describe the dental treatment plan. 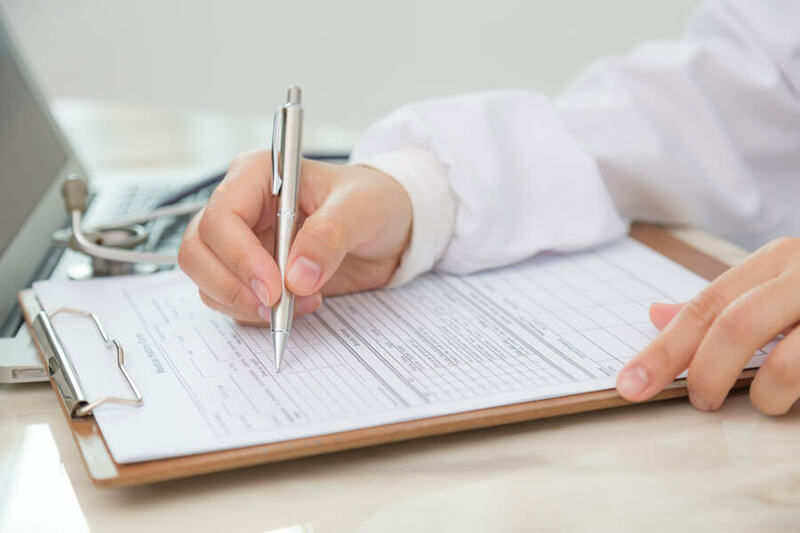 He is also required to include the prescription and medication, to be used during the treatment. 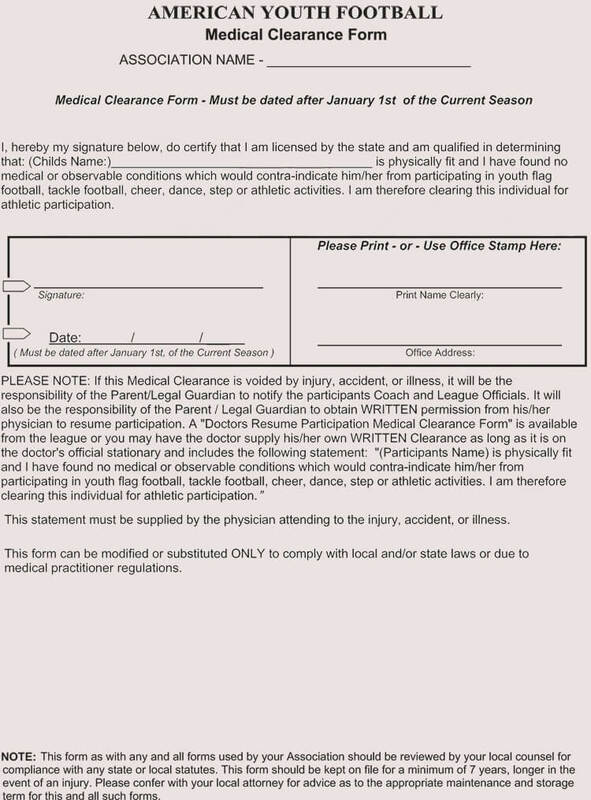 However, a medical clearance form should be in clear writing and detailed. 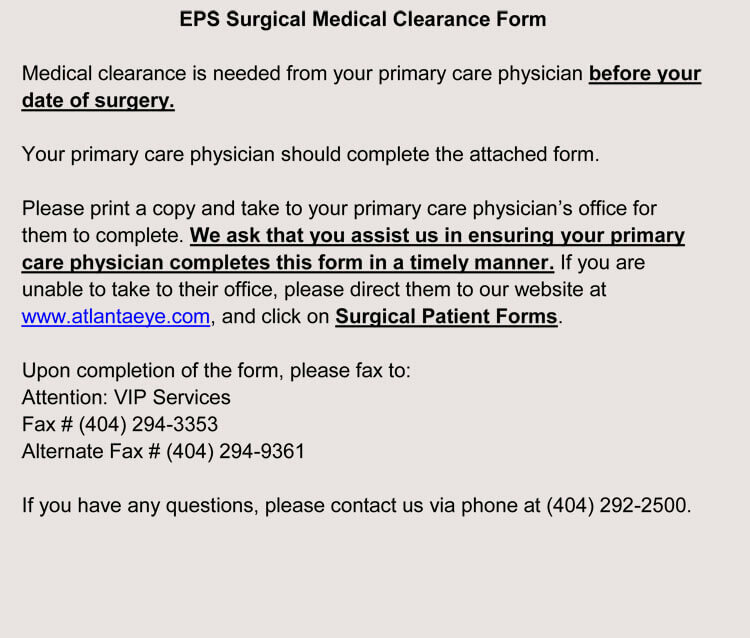 Before you undergo surgery, your physician must fill the medical clearance form. 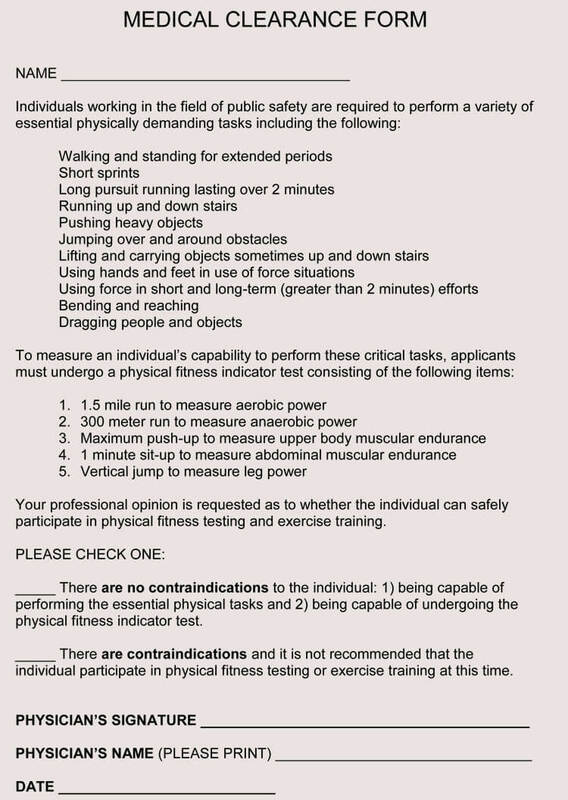 This will verify that you are physically capable to undergo the procedure. The physician must state to what extent. 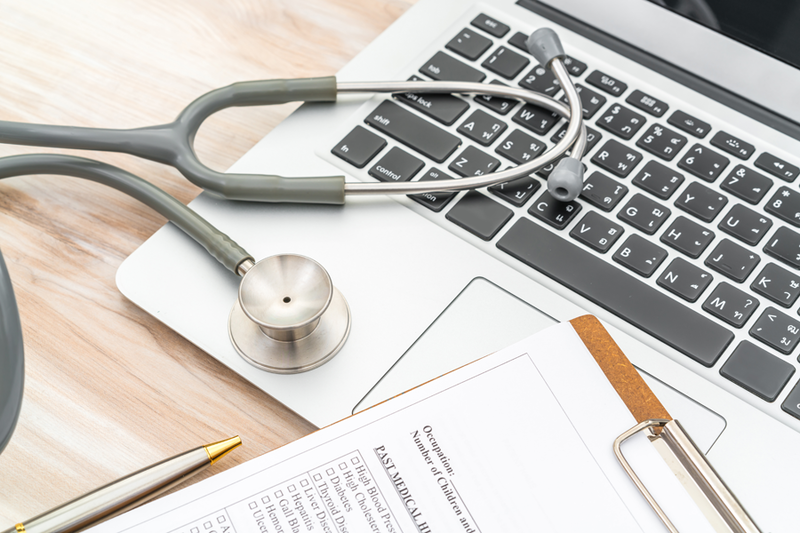 Your physician will also require details, of the procedure they plan to take and the medication to use. 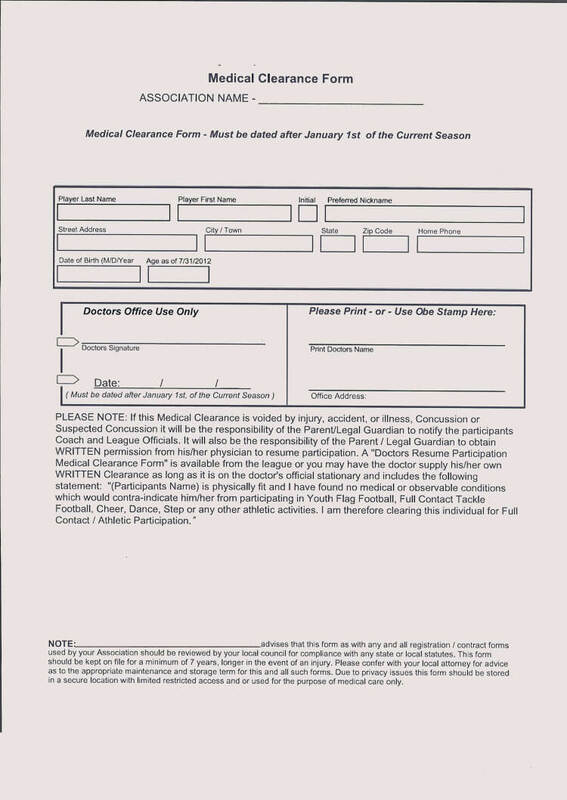 Before you take part in any kind of the exercise, your physician or the doctor must fill a medical clearance form. 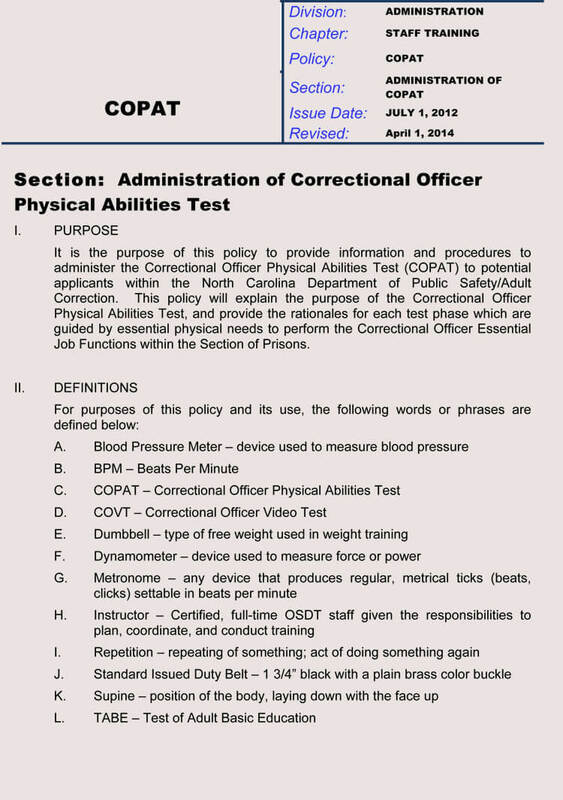 The form will include the details of how many hours you can do the activity. 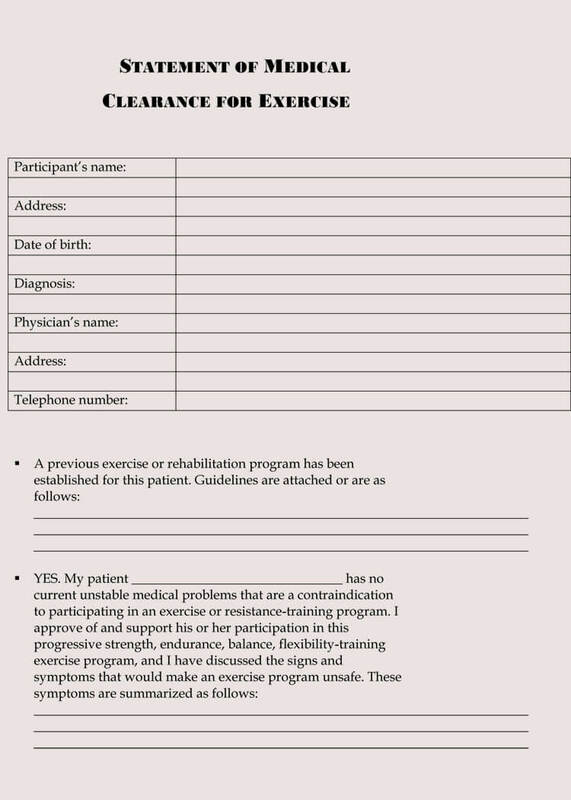 Your doctor has to give information, if you are slightly fit, partially fit, or totally fit for the exercise. 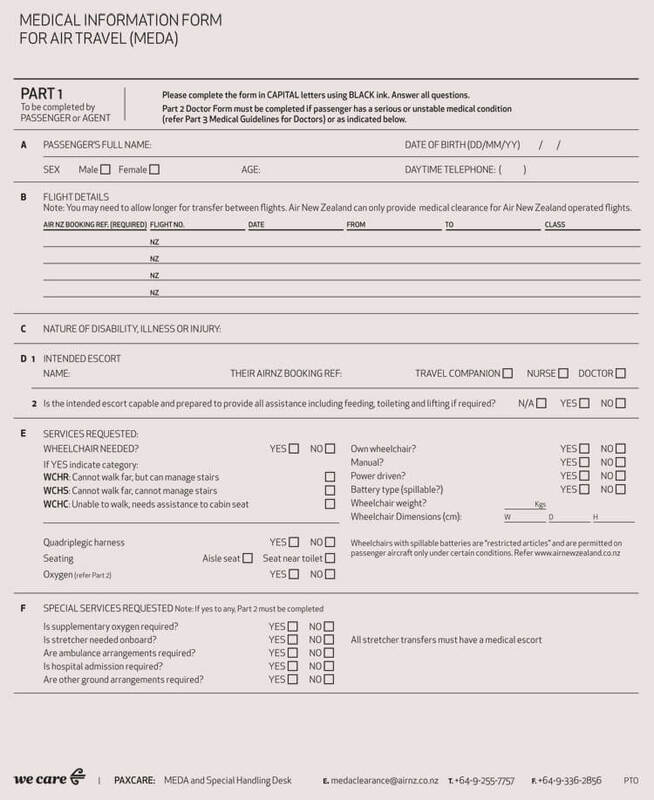 This form is very important for any employee. 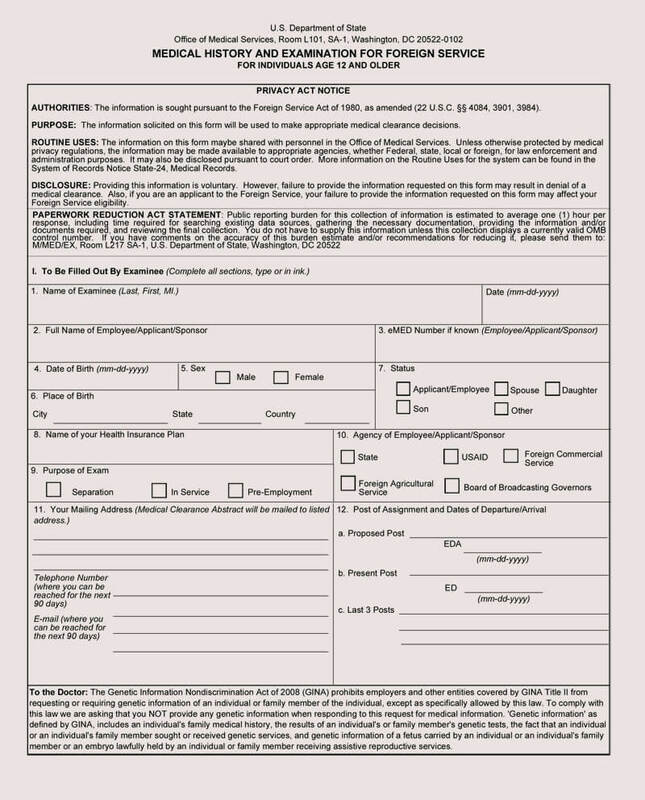 Your doctor has to fill this form stating if you are capable to do any kind of work. 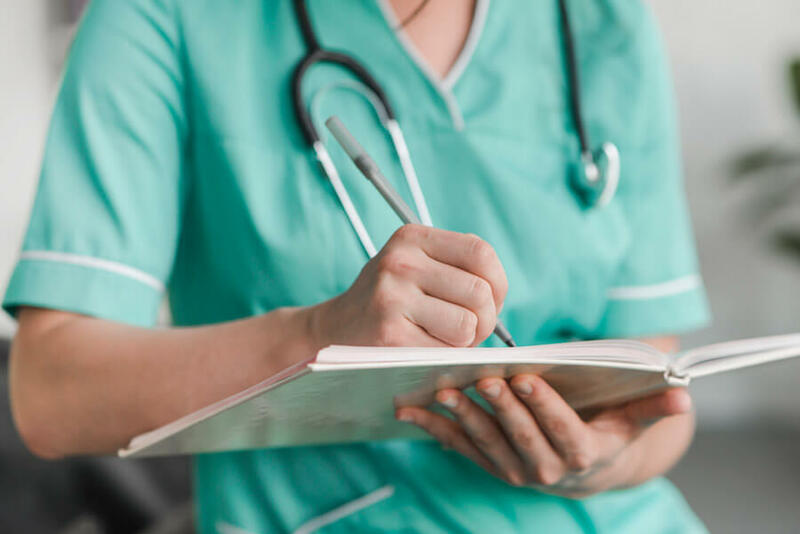 However, the doctor must have the details of the work or the type of work that you will be assigned. 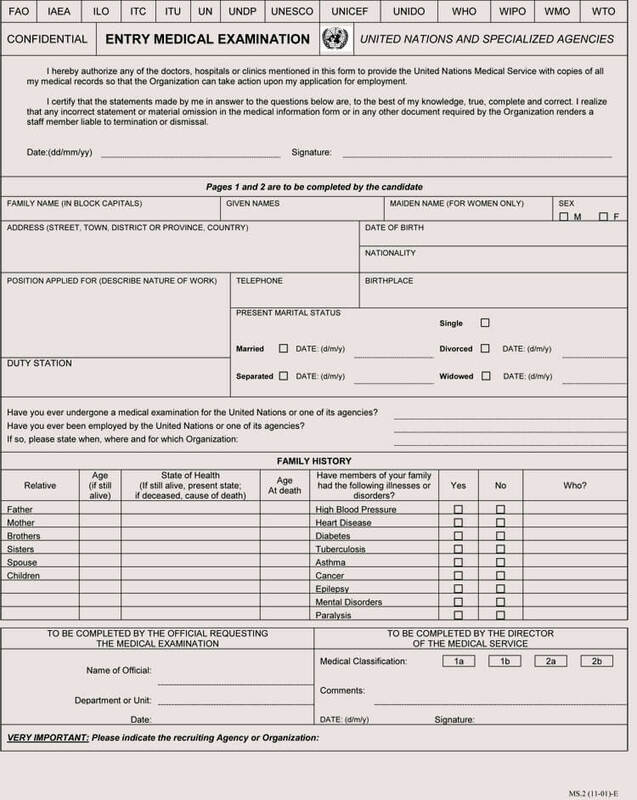 He will fill the form stating if you are fit for the work depending on your medical history. 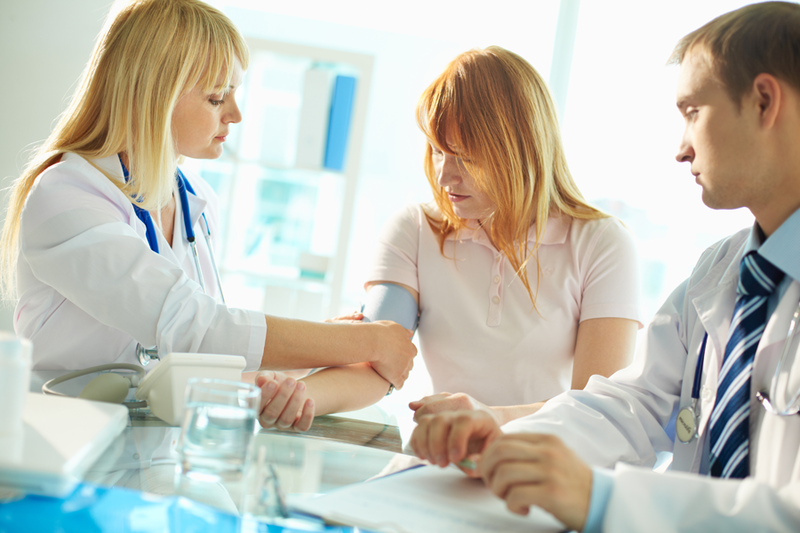 Your health condition does not matter, what matters is the permission of your physician. He is the only person who can give you the permission to do what you want. 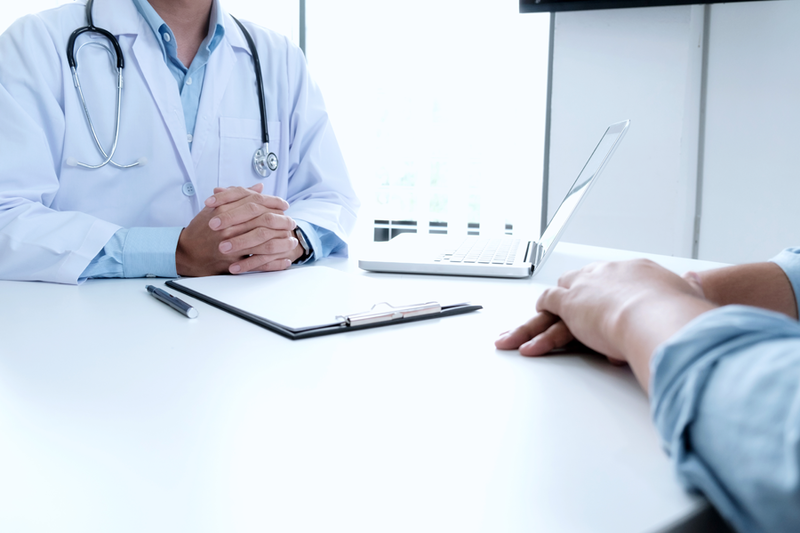 A physician is the only person who has your overall control. 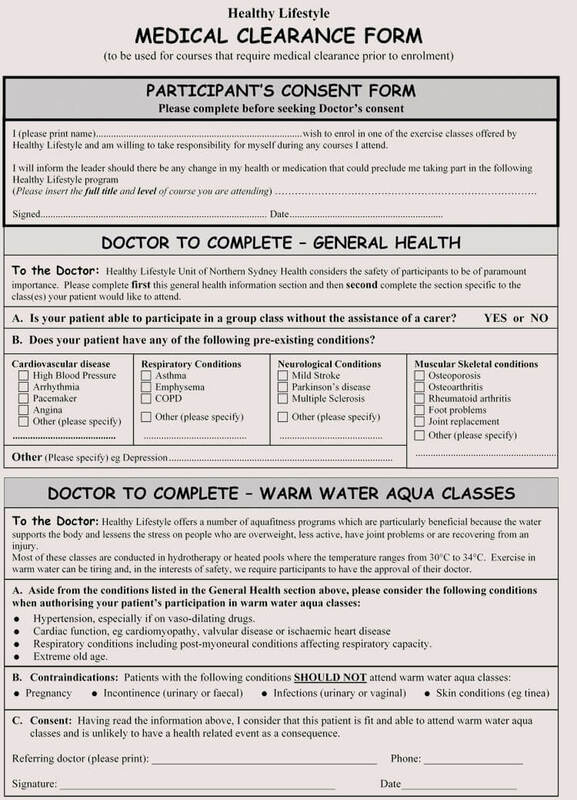 It is only the doctor, who can allow you to do any activity. 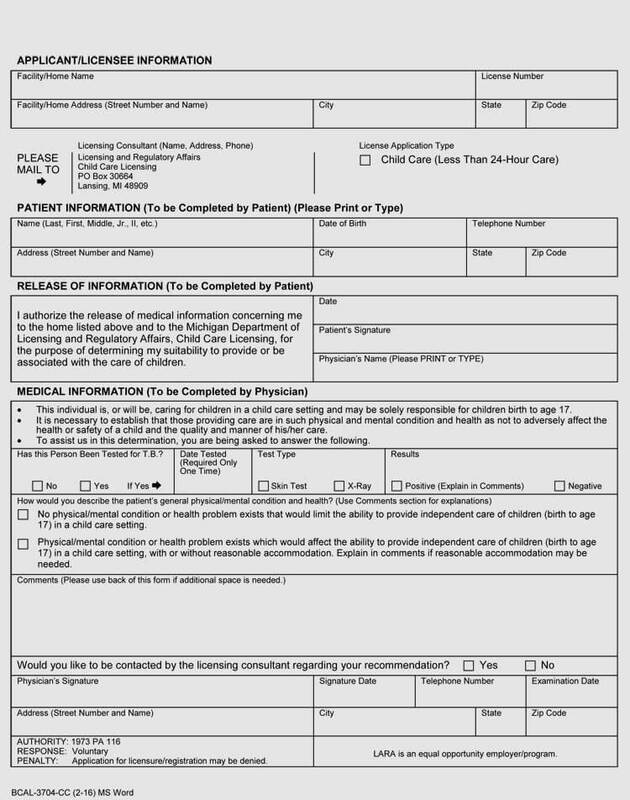 Besides giving the permission, the form also protects the doctor by reporting whatever happens to you. He will not be liable if you go against his recommendation. 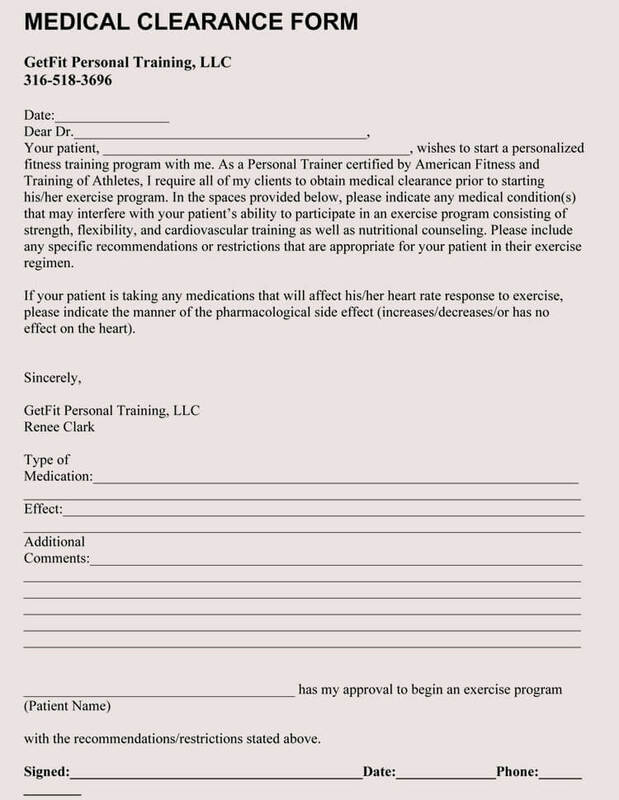 If you want to join a program that provides cardio training, you have to get a this clearance form, from your doctor stating if you are capable of joining the program.